This recipe for authentic ricotta gnocchi comes from the very popular Italian cooking site called Giallo Zafferano. Making gnocchi is pretty easy once you get the hang of it. Most of my life, I’ve eaten potato gnocchi but I’ve come to realize that I like the ricotta gnocchi almost as much if not more. Some people say that ricotta gnocchi are called cavatelli but that is not how my mother defined them. If you are able to translate this page, read more about cavatelli here, which are basically a semolina-based pasta that is popular in southern Italy and made primarily with flour and water. Now, I have been on a quest to make ricotta gnocchi for a loooong time. My friend Roe and I went to Florence several years ago and we had the BEST gnocchi of our lives. As Roe said, those gnocchi changed. our. world. I’m sorry to say that I still haven’t been able to replicate those gnocchi but my next step is going to be to try the Zuni gnocchi recipe, as the creator of that recipe says they are based on the Florentine style of making gnocchi and they don’t contain any flour. It’s basically this recipe sans flour. I’ve read that even professional chefs have had a difficult time trying to make those gnocchi. That recipe is here if you are up for a real challenge! And the ricotta has to be very dried and crumbly. I’ve also read that a food mill is essential. And so, for today, we have something much less complicated! 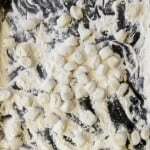 For today, we have the gnocchi pictured here, which contain flour. Getting the ratio down is the key to making these. It’s basically 3 parts drained ricotta cheese: 2 parts all purpose flour: 1 part parmesan and 1 egg for each cup of ricotta cheese. Have plenty of extra flour on hand to prevent sticking and make life easier. I served these with a simple tomato sauce, but they are also great as a casserole tossed with mozzarella and tomato sauce and then baked until melty. I also love ricotta gnocchi with a gorgonzola sauce (which is the way I had them in Italy….sooooooo good). If you’ve never made gnocchi before, don’t be intimidated. The biggest mistakes are typically making the dough too soft (they will fall apart when boiling) or making the dough too hard (the gnocchi will be like little lead balls). 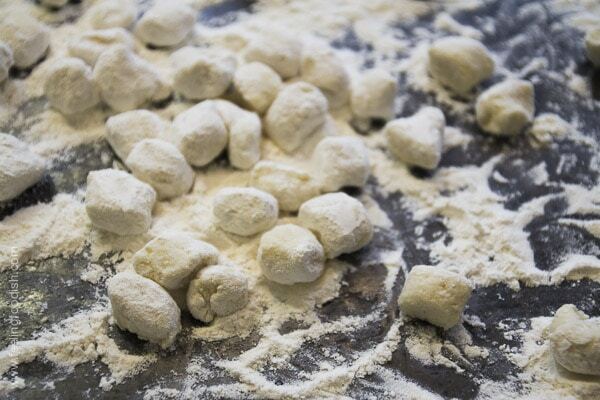 To prevent this from happening, keep your dough soft and a bit sticky, and test a few by boiling them before you form the rest of the gnocchi (so you can add more flour if necessary). 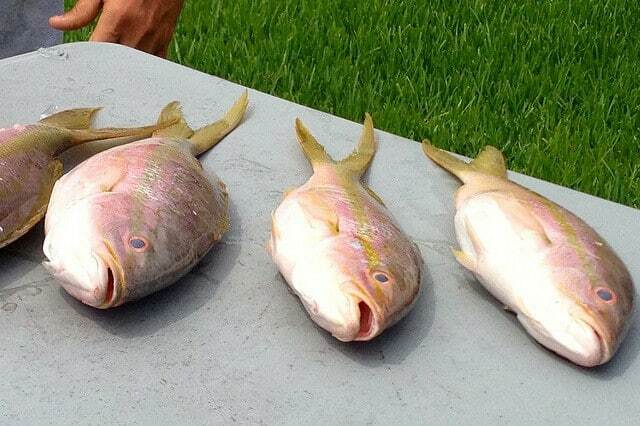 Another tip is to gently boil them, and not cook them using a rolling boil. These are fairly rich, so they are best served as a side dish or as a small portion with a large salad. 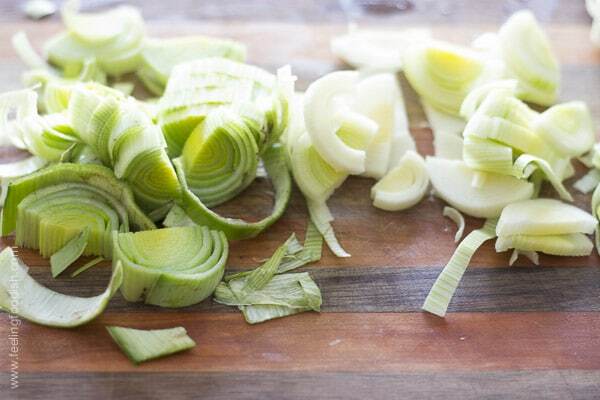 Place a large stockpot with slightly salted water over high heat to boil. Divide dough into 8 pieces and form each piece into a long rope by rolling (they should be about as thick as your finger). 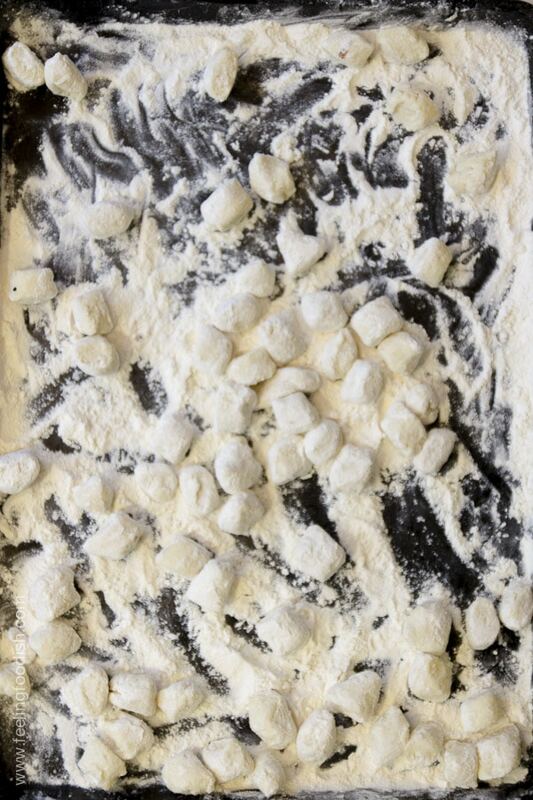 As your are cutting, place gnocchi into floured tray and roll gently in flour to prevent sticking. 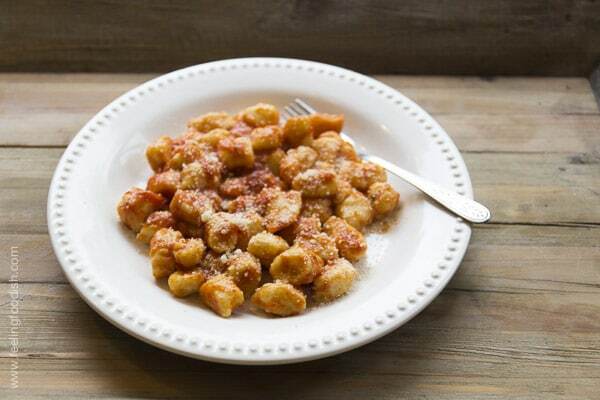 Before cutting all the gnocchi, test the dough by cooking a few in gently boiling water. But I can’t stay away too long. I’m always thinking of food and cooking and eating. There are just so many new recipes to try! 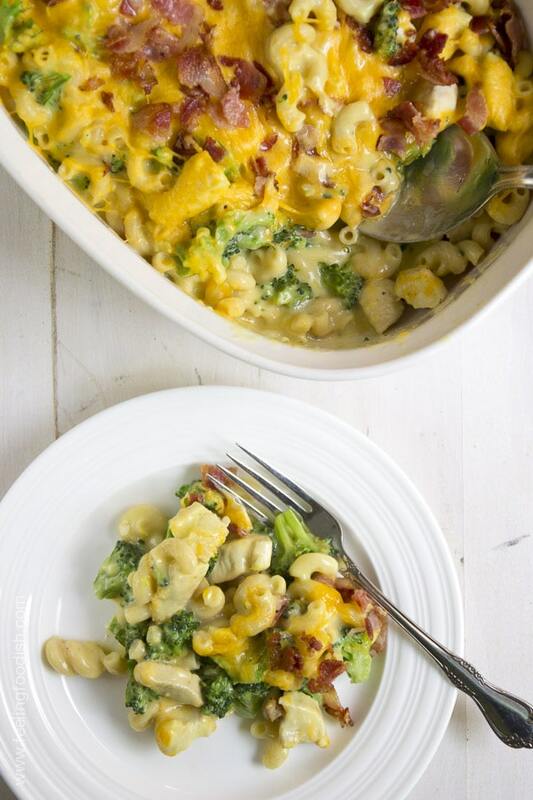 Macaroni and cheese is no exception. 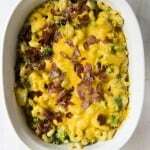 I’ve always wanted to try adding broccoli to mac and cheese to sort of take away some guilt and to add nutritional value and fiber. This recipe also uses chicken, so it’s one of those one dish meals that I love to make. 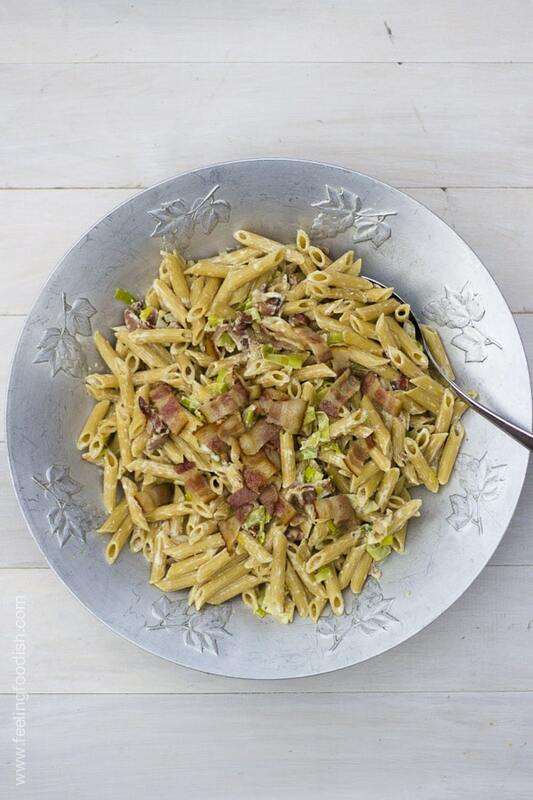 I happened to use leftover pasta for this dish but you certainly don’t need to do that, and it’s probably easier not to since you’ll have to cook the broccoli in boiling water anyway. 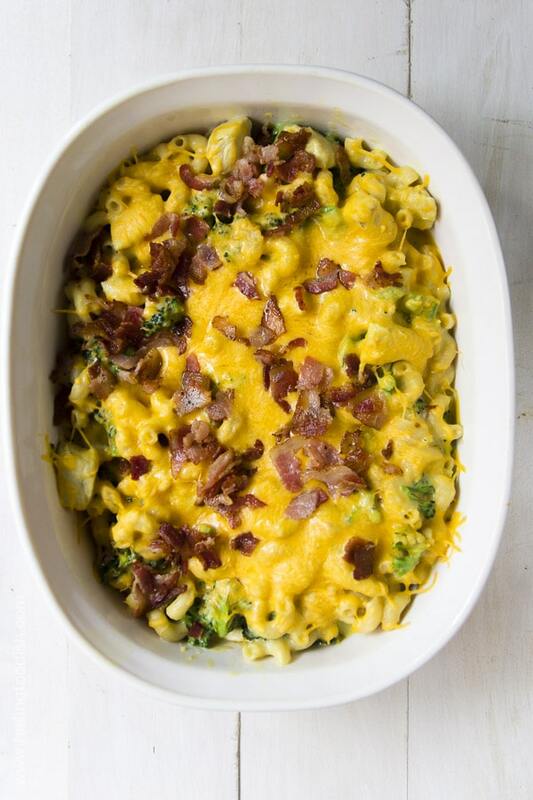 Top this with just a bit of bacon for some added crunch and flavor, and call it dinner! During the last minute of cooking, add broccoli to pasta water and cook for 1 minute. Drain and set aside pasta and broccoli. Add chicken to the pan (with the reserved 1 teaspoon of bacon drippings), and cook for about 3 to 4 minutes or until no longer pink. Add garlic, salt, and turmeric to chicken and continue cooking for another 30 seconds. Whisk flour with milk and add to the saute pan with chicken and cook over medium high heat until thickened. 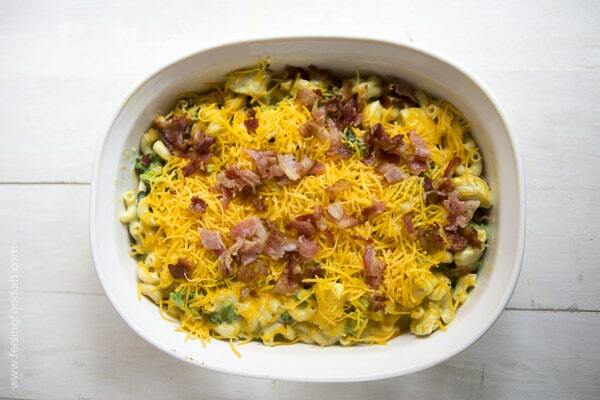 Add pasta and broccoli to the pan with the cheese sauce and chicken. Stir to combine and season to taste with salt. Broil for 2 to 3 minutes until cheese has melted. Here’s an easy one-pot meal. 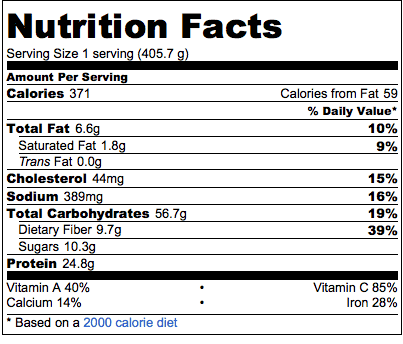 I love this because it’s high in fiber, and protein. I mentioned before that the pasta I like to use is Dreamfield’s, which is a little more expensive than other pasta, but it has loads of fiber and also provides “protected carbs”. 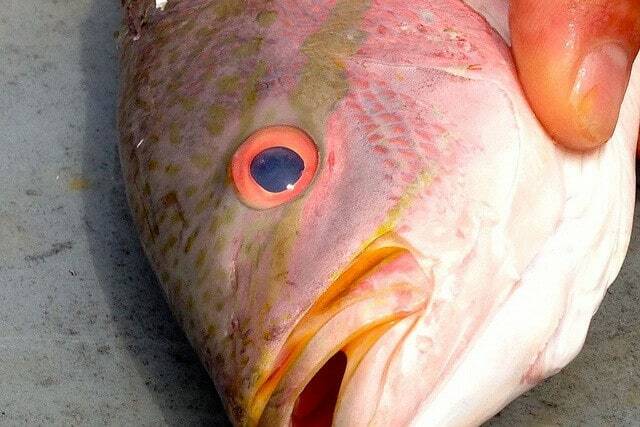 More on that claim in this very informative article here. 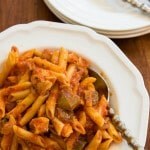 This recipe is based on a very popular recipe in Utica, NY called chicken riggies. Riggies stands for rigatoni, which are the larger tubular pasta shapes, but Dreamfield’s does not manufacture rigatoni (boo! ); penne is a great substitute. 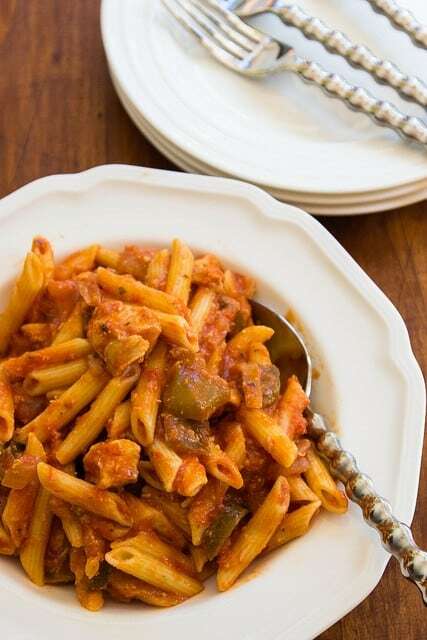 I’ve given chicken riggies a makeover to save some calories. The first version that I ever tried used a whole stick of butter. Naturally that was quite delicious, but added way too much fat. In the past, I’ve used jarred peppers (a mixture of mild and hot sliced sandwich peppers). Given the sodium content in the jarred peppers, I’ve moved to using fresh bell peppers as the base for this recipe. Fresh is always best, right? 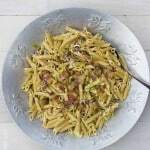 There are so many different versions of this dish – many people add other vegetables including mushrooms and olives. You can also add chicken broth to flavor the sauce. 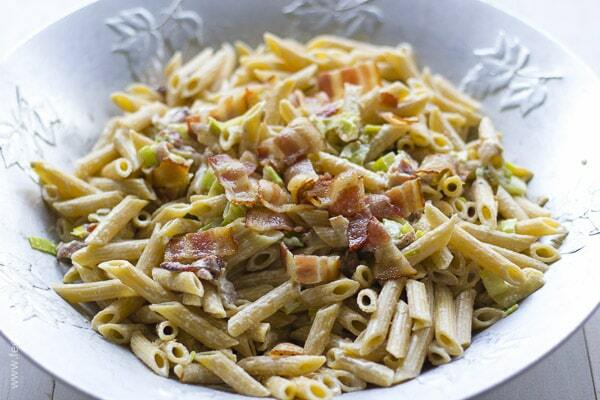 The addition of a cup of Parmesan cheese takes this over the top -soooooo good! Don’t skip that step! Save this recipe for a chilly Sunday – you will love it. Add grated cheese to sauce, and stir. Check seasoning and add salt and pepper to taste. 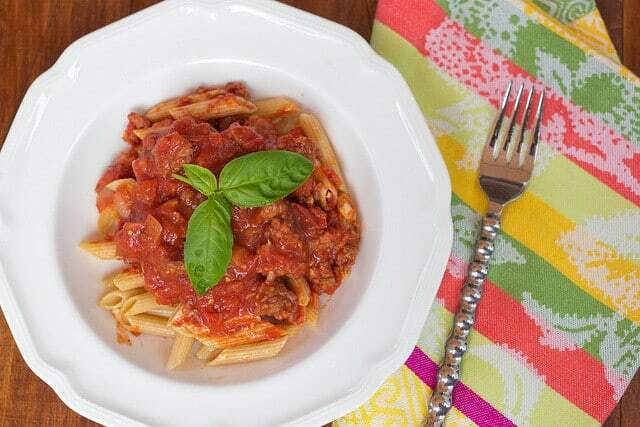 Spoon sauce over pasta to serve and serve with extra grated cheese. 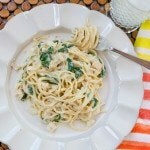 If you like pasta and you also like chicken Florentine, you are going to love this recipe. Here’s a one dish meal that is easy to make on those nights when you are in a hurry or just aren’t in the mood to clean 4 million pots. Imagine that! Serve this with a big salad, and call it dinner. I typically keep all of the ingredients for this dish on hand, so this recipe makes for a good last minute supper provided that the chicken is defrosted or can be defrosted relatively quickly. If you have a gas grill, even better because the chicken will cook in a snap. 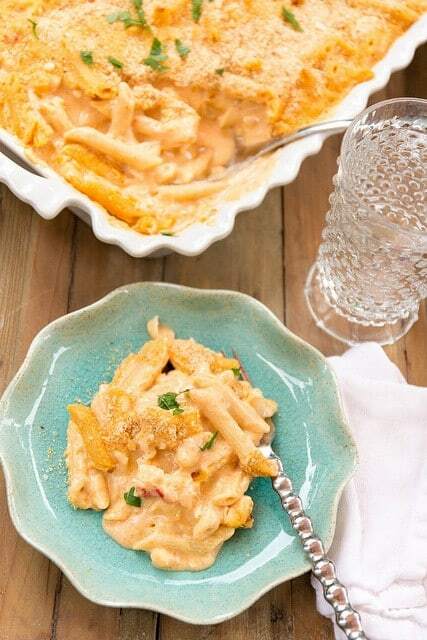 Because you will use some chicken broth in the place of milk, the sauce is lower in calories than other cream- or milk-based sauces and the use of grated cheese gives you lots of flavor for the amount used, also a good calorie saver. 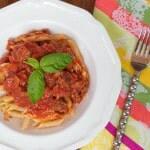 Leftovers reheat nicely – yes, I usually overcook, so I know this is true. What can I say? It’s the Italian in me. In a small saucepan, combine the chicken broth and milk and warm gently but do not boil. Set aside. In a large saute pan, heat the oil over medium heat, add the flour and stir to form a roux and cook over medium heat for 1 to 2 minutes. Do not allow the roux to brown. Add the black pepper, and broth/milk mixture to the roux and whisk briskly until smooth. Continue heating gently until thickened, then remove from heat and add the Parmesan cheese. 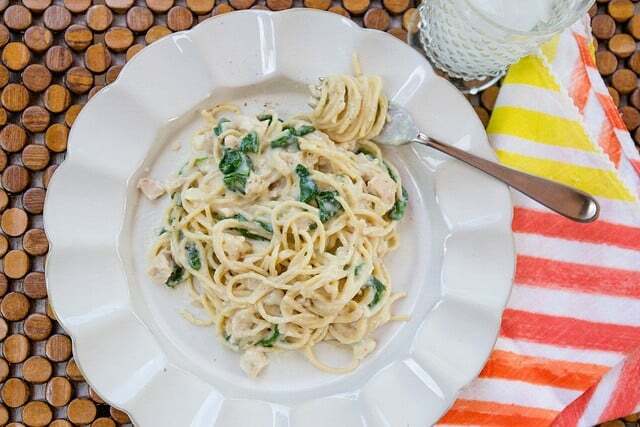 To assemble dish, combine cheese sauce with pasta, spinach, and chicken. Stir to combine and very slowly add small amounts of the reserved pasta water, only if needed, to thin sauce. 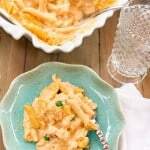 This is one of my husband’s favorite recipes. Of course it is because he loves Italian sausage! If you need a quick and easy meal for a sausage-lover, give this one a try. The flavor will largely depend on what brand tomatoes you use and of course, the sausage. One of my favorite local brands in Botto’s sausage. I was pleasantly surprised to see that this sausage is available along most of the east coast and even in some parts of the west coast. Of course, buying local is always best so use your favorite local brand and you can’t go wrong. Botto’s in made in NJ, not far from me. Speaking of Botto’s – they just opened up a shop on the Ocean City NJ boardwalk. My family and I visited Ocean City last month for vacation, and I tried one of their sandwiches. I had the sweet Italian sausage topped with long hots (ie, long hot peppers, which are sauteed lightly in olive oil). This sandwich was so delicious. And the bread? Amazing. But I think most of you don’t have access to long hots, so we’re gonna stick with pasta for this one. Maybe the sandwich in another post? In the meantime, heat the olive oil over medium heat in a large dutch oven and add onion. 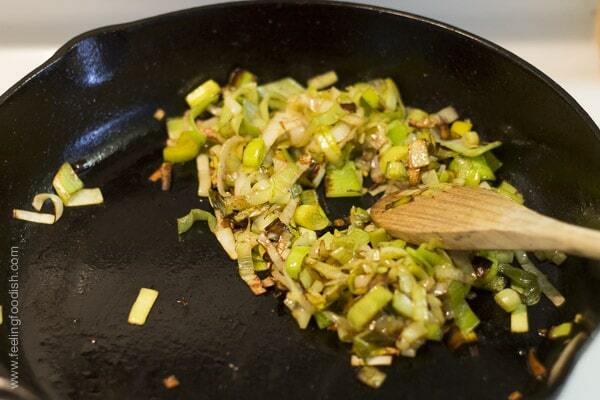 Saute for 3 or 4 minutes, until translucent. Season with salt, black pepper and red pepper.